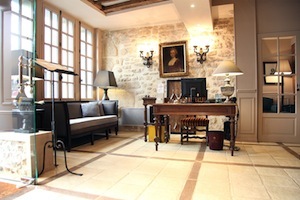 On the famous Ile Saint-Louis, close to the Notre Dame de Paris, the Place de la Bastille and the Place des Vosges, the Hotel Saint-Louis en l'Isle is a peaceful hotel located in a unique setting, featuring beautiful, bright and cosy rooms. All of them are equipped with air conditioning, wifi internet connection, telephone with direct line, safe deposit box, iPod docking station, flat-screen TV and wake-up service. In addition, during your stay at the hotel you can loan for free an iPad 2 (on request at the hotel reception).